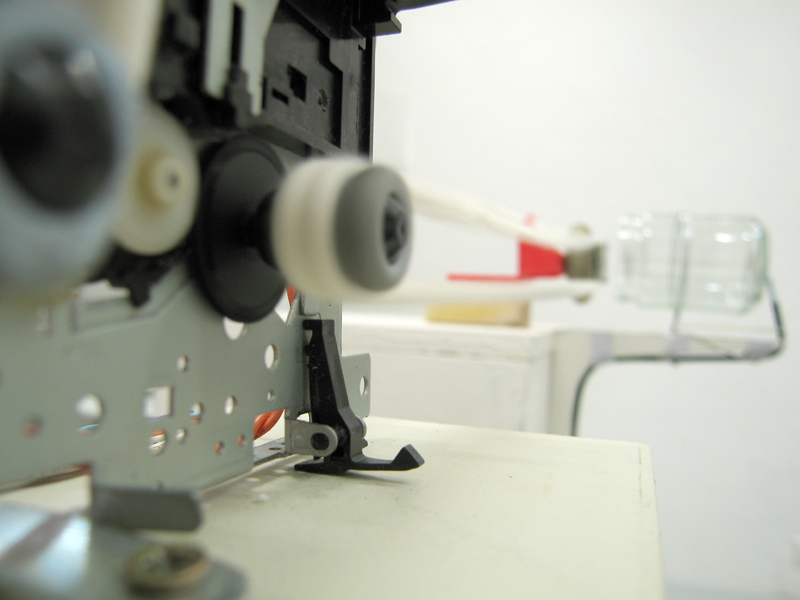 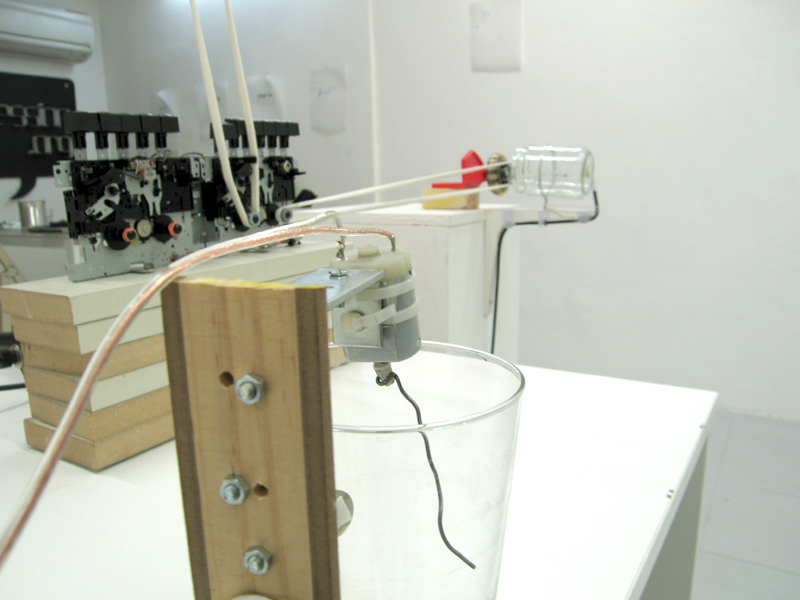 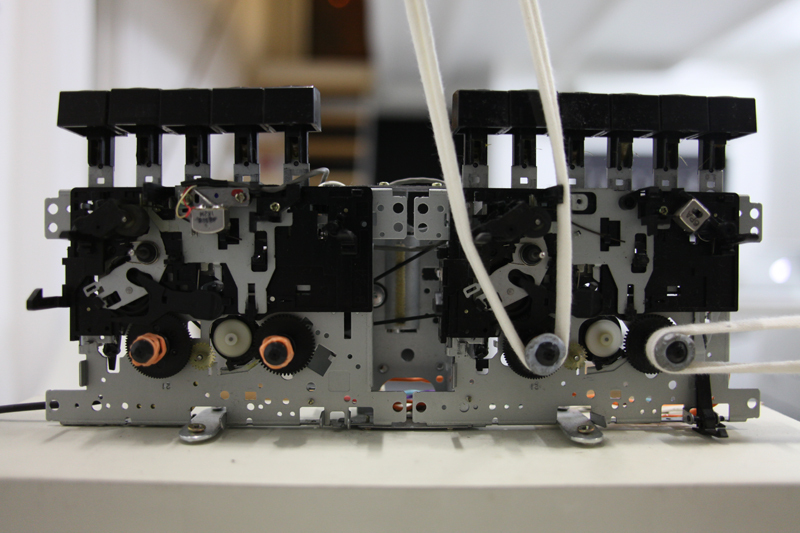 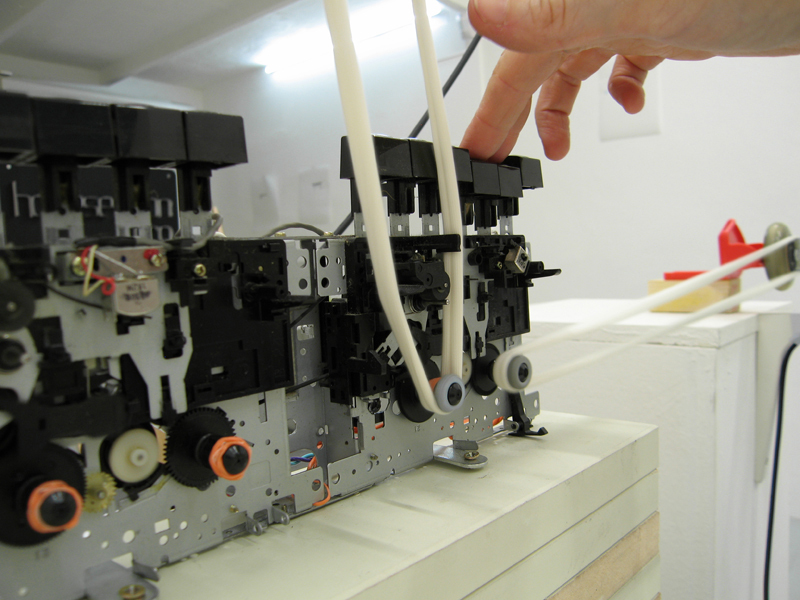 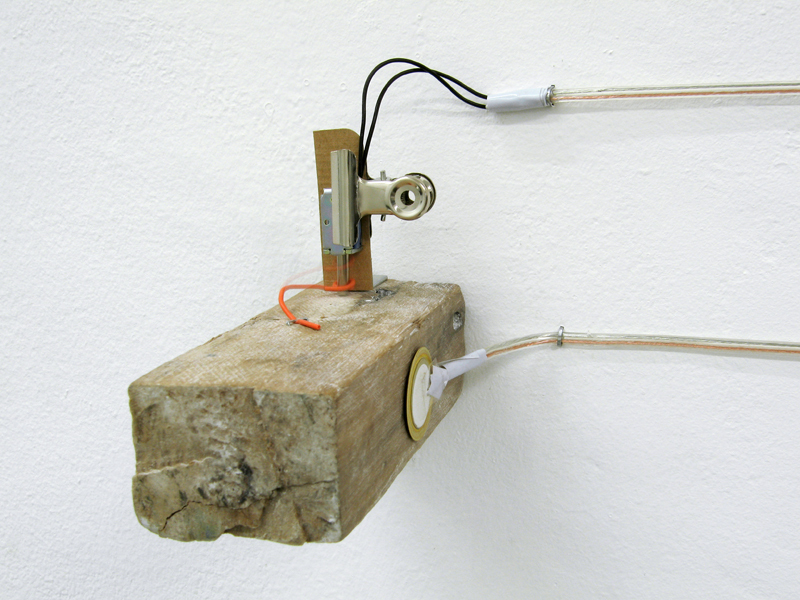 an installation/instrument made with a stripped down double cassette-deck with motor and spindle mechanism. 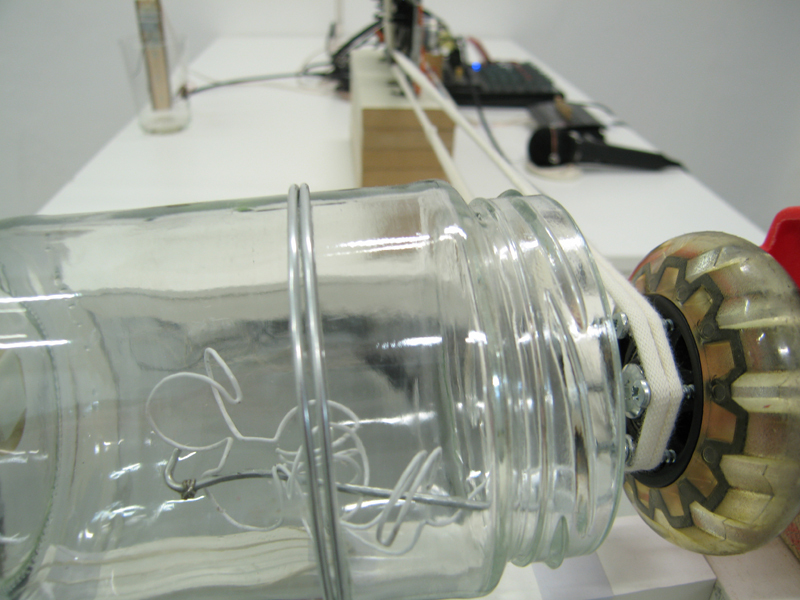 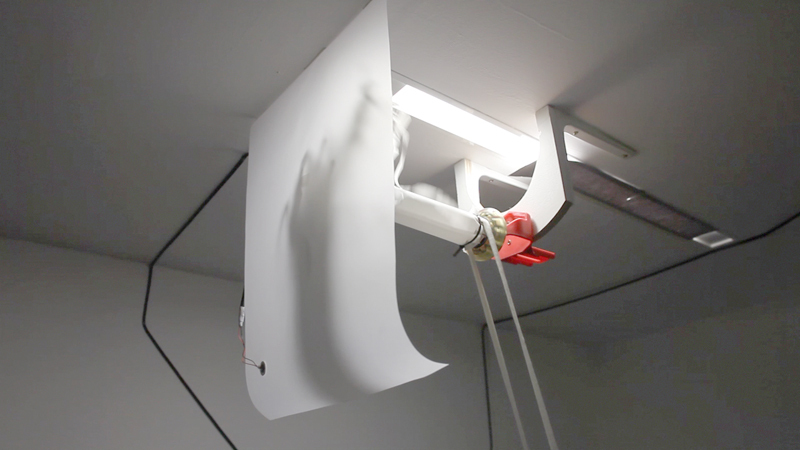 Fabric belts fan out of the rotating spindles and into the space to activate an assortment of sound generating elements – rustling paper, ringing glass jars, tapped wood; teasing out from humble materials their inherent musicality. 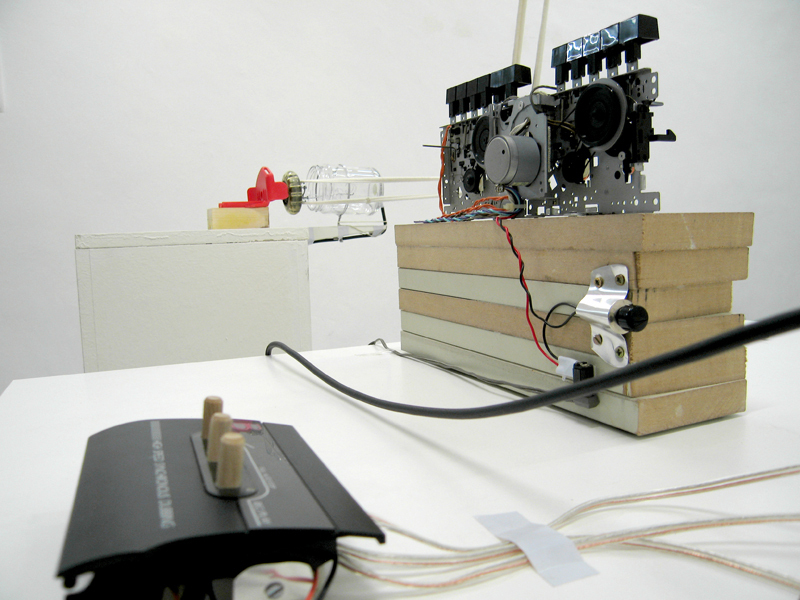 made during a residency at Homesession, Barcelona during the fall of 2013.